TOKYO, Japan -- The jerseys worn by world No. 1 Samurai Japan in WBSC’s historic Europe vs Japan Series were recently auctioned, helping to raise over 3.74 million yen (US$ 30k) in relief funds for the Great East Japan Earthquake that struck on 11 March in 2011. Donations were also collected during the #EUR vs JPN series, which was played this past March on the 10th and 11th to help honour the victims and raise awareness of ongoing recovery efforts. There was also a moment of silence before the March 11th game, while Europe's team manager, Steve Janssen, visited the Fukushima region prior to the start of the series. Samurai Japan’s team members, the biggest stars and heroes in Japanese sport, autographed and donated 32 game-jerseys in total. Over 44,000 people attended the historic Europe vs Japan matches. The two-game series was broadcast free-to-air nationally across Japan by the Tokyo Broadcasting System (TBS), while Eurosport 2 transmitted the games live to potentially 73 million households across more than 50 European nations. Nippon Professional Baseball (NPB) — the second highest-attended sports league in the world in 2014 (approx. 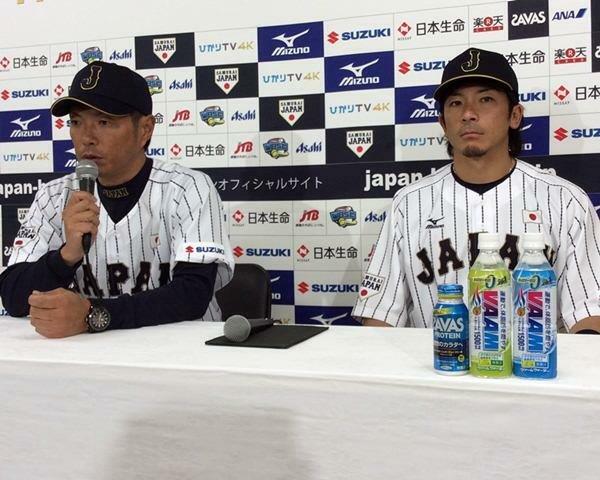 23 million) and WBSC Associate Member — hosted the Europe versus Japan two-game series.